This is the second part of the 4-part special interview series, “Preparing for a Productive Ramadan”. Listen to the other interviews: Part 1, Part 3, and Part 4. 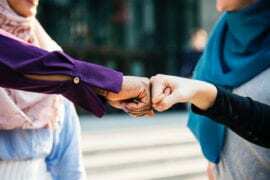 In this interview, Abu Productive talks to Sr. Lotifa Begum, Head of Productive Muslimah, on how to overcome the challenges sisters face during Ramadan. Masha Allah, we know Islam holds women in high-esteem and they play a such an important role in our Islamic society and in all of our lives. It’s amazing just how much women can accomplish for their family, loved ones, and themselves. Which is why the challenges that women face is something a man could never understand! That’s exactly why I’m calling upon the expertise and compassion of Sr. Lotifa Begum, who will be sharing some valuable tips on how sisters can balance the multiple roles they play during Ramadan, overcome their specific challenges, and maximise the barakah for a fulfilling and productive Ramadan, In sha Allah. A Productive Muslimah is a Muslimah who strives for the highest station in Jannah by making the best of all the resources around her. It is this philosophy that drives Sr. Lotifa’s passion to help sisters excel in their pursuit of productivity for the sake of Allah SWT. She completed the NicheHero Leadership Programme with Shaykh Muhammad Al-Shareef and undertook the Oxford Young Muslim Leadership Programme with the Oxford Centre for Islamic Studies. Sr. Lotifa is currently a Productivity Instructor & the Head of Productive Muslimah at ProductiveMuslim.com. Through these enriching experiences of leading Muslim community projects, she has gained huge insights into a wide range of productivity-related issues that sisters commonly face, and has delivered workshops for sisters on issues relating to time management, personal development and productivity. Can’t see the audio player in your email? Click here to listen to the interview. 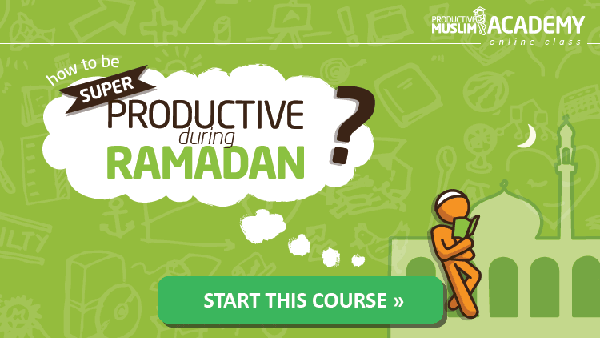 Get even more practical Productive Ramadan tips by joining Productive Muslim Academy here. 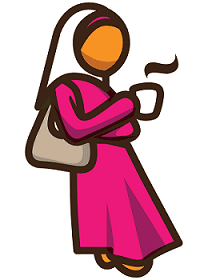 You can keep up with Sr. Lotifa’s practical productivity for sisters by following Productive Muslimah on Facebook and Productive Muslimah on Twitter. Look out for my next interview of this series with special guest, Br. Thurein Win, who will be sharing some powerful insights on getting into the right mindset for a productive Ramadan.